Unfortunately had to use this one for two corses. It's a paperweight and nothing more. The set up of the text is good but most of the time it felt like the guy got bored. Basically, here is a start and the rest do your own reasearch. If you have lots of spare time on your hands, this book is for you. If not, try David Anderson's books instead. From the selections of texts I have had to read this year including: Gas Dynamics, Numerical Methods with Matlab, and Aerodynamics, this text was by far the worst. It is all talk and no example. There are maybe two or three actual examples in the whole thing. The sections are setup in a logical manner and the flow was okay. However, there is no overall view provided. Equations are dropped out as though they are they are important, when they're just intermediate steps to other equations. Homework problems are insanely hard to do for those unfamiliar with the subject. Do not read this book expecting to learn how to build a plane. The only thing you can pick up are broad concepts. Example, Chapter 4 is on drag, most books do a really good job of giving you an idea of the big picture and how to use concepts. Rather than give a broad overview of the overall or total drag and then breaking it down from there, the author starts examining pieces of the drag problem and connects some of them together near the middle, without talking about how to incorporate the rest and ends with a talk about getting minimum drag. Horrible explanation. Equations, explanations and concepts need to be presented in a clearer fashion examples need to be added and then it might be a decent book. Until then it's only a mediocre piece of work. I have both editions of this book. The first one was not so good; the second is still worse. It is the first edition with some few changes and many misprints. The introduction of some computer programs does not make this book an up-to-date one. It is still an old book with just a colorfull cover. I plead that this not be used as text for any course, as it is a lousy teaching book. It lacks continuity and contains far to many typos. Does make a good desk ref, lots of real world data, but with an under used index individuals unfamiliar with the text might have a hard time finding what they are looking for. Highly recommended reading for researchers looking for a well-rounded grasp of the problem and current research. Quite hard to follow. The organization is pretty weird and jumps all over the place. Diagram that are being refered to and are usually on the next page, so you end up fliping back and forth. Formulars are organized pretty badly. End of chapter has a summary which give the important parts, so that's a plus. 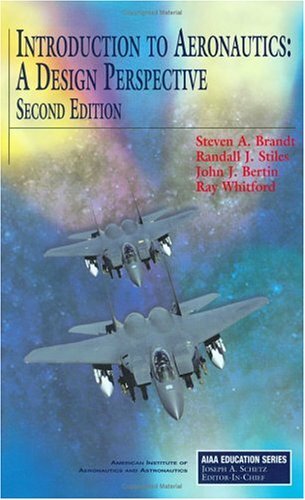 This is a great book for students just entering the world of aeronautics.It starts with the basics and gradually moves up, at a pace comfortable for almost anyone.Highly recommended. 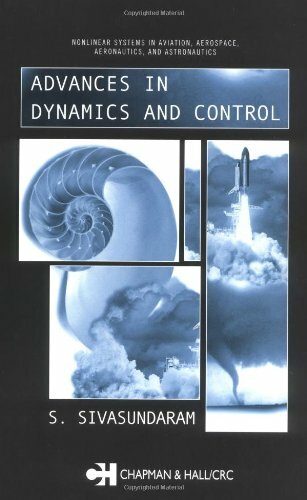 This is a great book to understand the principles of wings, stability and structures, I recommend for the ones who does not know a lot about aeronautics and want to know a bit about it. Dr. Brandt did really great job on this book. 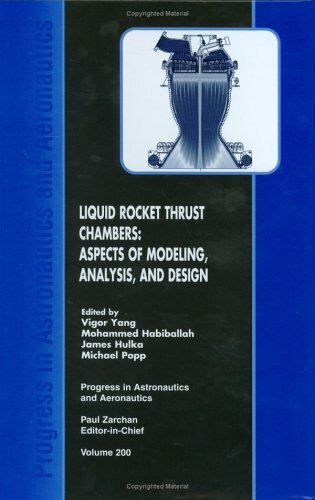 The way of his approach to the idea of becoming aerospace design enginners is excellent, and most of the problams and exercises he describe are also outstanding. In just 100 years, air and space exploration has progressed from a 12-second, 120-foot flight by two brothers to nearly 30 years of sustained flight by a spacecraft, now eight billion miles from Earth, traveling at almost 40,000 miles per hour. 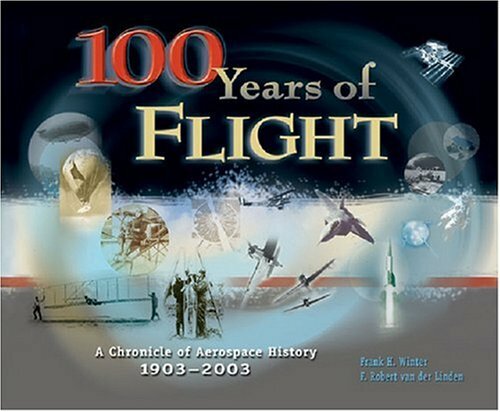 Drawing on the extensive collection of the National Air and Space Museum (NASM), and personal collections, this full-color, beautifully illustrated book chronicles the most significant accomplishments in aerospace history over the past 100 years. In timeline fashion, you'll read brief excerpts from hundreds of news articles reporting on significant accomplishments in flight. 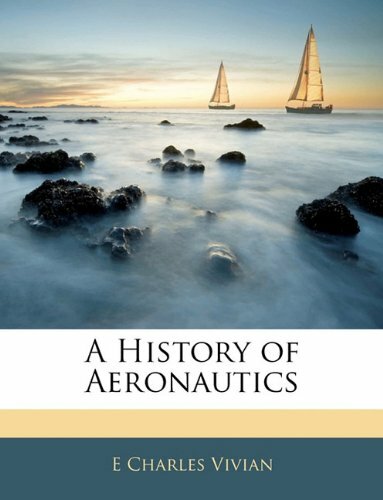 Through brief introductory essays, you will learn what made each decade of flight most significant. 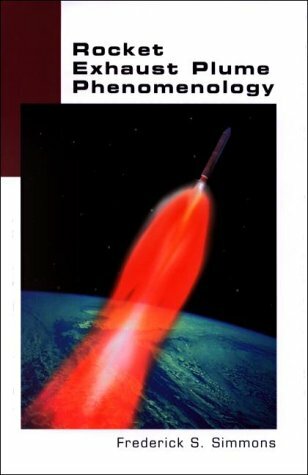 Concluding essays by John D. Anderson Jr. and Roger D. Launius of the NASM look at what lies ahead. Foreword by A. Scott Crossfield. By the 1930's the art of flying had become fairly commonplace. The art of rocketry was just beginning. And when there's any question, form an association for like minded people to get together. The results were several: The Institute of the Aeronautical Sciences and the American Rocket Society were formed in 1930 and 1932. From here came the early experimentors who helped to put the field into the public's eye. Here were the people who began the early work to design rocket engines. For instance there was James Wyld. 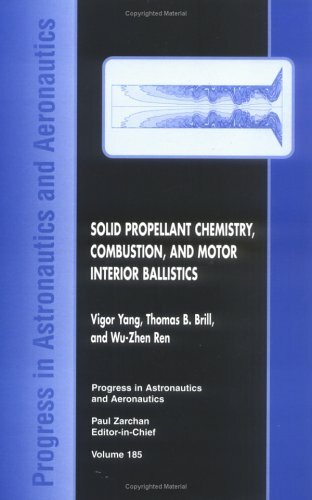 He bagan designing a rocket engine with regenerative cooling, circulating the propellent around the engine to keep it from melting. His engine became a series of engines, eventually a company Reaction Motors Inc. A few years later an engine from RMI powered the Bell X-1 with Chuck Yeager to break the sound barrier. in 1958 RMI merged with Thiokol who builds the solid rocket boosters for the shuttle program. 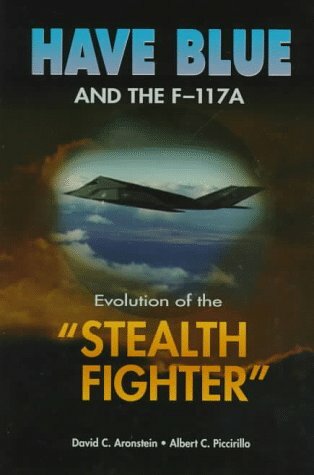 This book was done by two senior members of the AF stealth community, who were given full access to the program's early contractual paperwork, reports, etc.They have done an most admirable job digging the relevant facts out of the paperwork, and making useful comparisons to other programs.Having been a contractor engineering lead on this program for the 4 years the F-117 was truly created (1978-1982) I can testify that it accurately reflects the nature of the program and the important roles of various individuals to the extent that my knowledge permits.The book is intended, however, for professionals in the field, and won't exactly be a thrilling read for those who aren't interested in a lot of programmatic details. This book while seemingly very dry was actually interesting. I liked that there was a programatics/managerial look at the development of the airplane. There is also lots of development history and stuff. In total passenger miles, air travel has never been more popular. But as any frequent flyer knows, air travel problems are growing even faster long lines, lost luggage, overbooking, flight delays, and serious safety issues. And instead of doing something about it, the traveling public seems simply to be sitting down, buckling in, and allowing itself to be treated like sheep. But it doesn't have to be this way. There are solutions to our air travel problems, real solutions that can make real differences. And they don t require 15 years to implement. With decades of experience in civil aviation and policy, Drs. George Donohue and Russell Shaver are well qualified to assess the problems in the system and to offer responsible, workable solutions. Dr. Donohue, the current Director of the Center for Air Transportation Systems Research and a Professor of Systems Engineering at George Mason University (GMU), has extensive high-level experience at the Federal Aviation Administration and the Defense Advanced Research Projects Agency (DARPA). Dr. Shaver, formerly a senior RAND Corporation research analyst and now a visiting research fellow at GMU, served as chief scientist for policy analysis at the MITRE Center for Advanced Aviation System Development. The stories they tell are compelling. They are high-profile horror stories passengers stranded for hours on the tarmac, flights canceled for bad weather when there s not a drop of rain anywhere near the flight path, and an overall sense of apathy and obstructionism among those responsible for managing the industry. Interestingly, these problems are not the inevitable result of the size or complexity of the U.S. system. Air transportation in Europe, with almost identical air traffic control systems and safety standards, is far better. Amsterdam moves 30% more passengers than Newark, but the average flight delay is an order of magnitude lower. In addition, a European Passenger s Bill of Rights giving distressed passengers the right to substantial and immediate compensation has been a powerful incentive for non-U.S. airlines to maintain their schedules. So just how did we get where we are in the U.S. system today? Donohue and Shaver cite multiple reasons for the chaos we now face. These causes include airline deregulation, multiple governmental agencies with no central oversight or responsibility, multiple corporate entities with conflicting agendas, and a technologically outdated air traffic control system. Even more importantly, there seems to be a complete absence of advocacy for the customer the passengers. The authors also explain that our air travel problems, if left unaddressed, are on a direct course to greatly impact the overall U.S. economy and harm our global competitiveness. In 2006 alone, the delays and cancellations cost U.S. travelers an estimated $3.2 billion. And in 2004 and 2005, the U.S. tourism industry is estimated to have lost $98 billion in revenue due to our air travel mess. Fortunately, Donohue and Shaver don t leave us in this state of chaos. Their provocative analysis not only identifies the causes and extent of the problems, but also provides us with a course heading that will put us on the path to recovery. The solutions they propose include holding the government decision-makers responsible, expanding the capacity of airports and airplanes, modernizing the air traffic control system, and implementing what the authors call the 30% solution to significantly reduce congestion. This book was horrible.This guy is a hack.He know nothing about Air Traffic Control. Great book describing the complacency of an industry that has not evolved over the past 30 years. Old regulations and old technology = inefficient results. The end user, the American flying public, ends up suffering through delays and cancellations, not to mention a generally inefficient and uncomfortable journey as a whole. 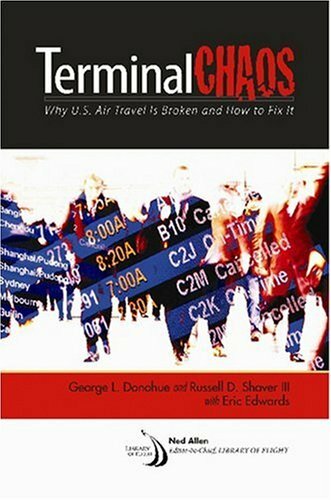 Terminal Chaos exposes the weaknesses in the system and provides interesting alternatives to alleviate a growing problem.Great book to read especially if you're a frequent flyer. The book was of interest to me as an aviation writer. I found many of the points to be valid and well supported. However, the focus was far to narrow and was limited to infrastructure shortcomings. There was little attention paid to the failures of management and lack of vision. It tells part, but not all, of the story. A critique of the current crisis in airline travel and America's air traffic control system -- as told by one of the architects of the current mess (and his ghost-writer).Donohue throughout demonstrates more than adequately that he has no understanding of airline economics or of the technical issues he was supposedly responsible for.Donohue should not be peddling books; Donohue should be on trial for professional malfeasance. This volume was a gap on my research shelf that was waiting to be filled. This book gives a method of analysis of beams that is suitable for a wide variety of applications. Beams are defined as slender structural members and may be made of virtually any material. Beams may be very large as in components of buildings,aircraft wings, or bridges, or quite small as in shafts or turbine blades. 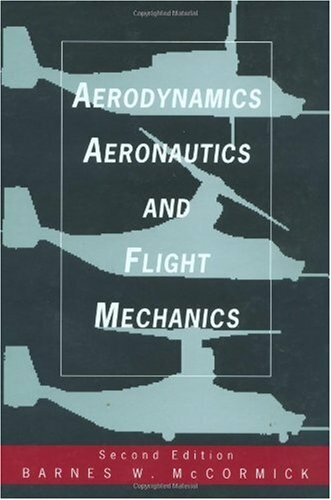 The theoretical foundations of this book have been inspired largely by research conducted to meet the need for accurate analysis of helicopter rotor blades made of composit materials. Rotor blades are extremely complex beams that must function under a wide variety of conditions and loads. They are also a subject that has received a lot of attention because of Government funding. 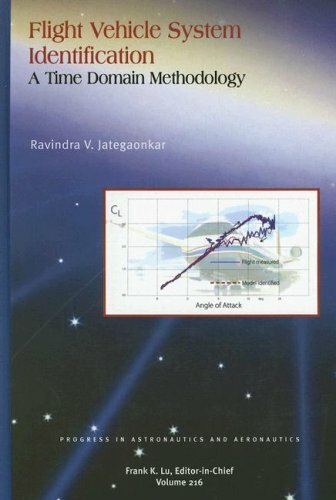 This book is based on helicoptor rotor analysis, but other beams can be analyzed using the same techniques, and probably somewhat easier because most other beams are significantly simpler in design. 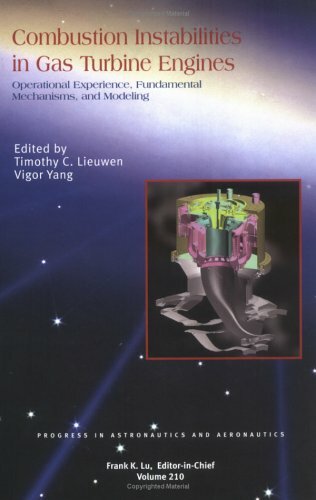 This book has the most comprehensive breakdown and analysis of the principles and modeling of accelerometer and gyro technologies I've seen in a book yet, though there are already some very good books on stable platform products.There's also a wealth of information on various coordinate systems used in the vicinity of Earth.While an entire chapter is devoted to MEMS, it would seem that the mechanization material (as well as alignment) is geared towards higher-end devices, in that many MEMS units I've encountered cannot readily identify any component of Earth's rotation, making much of the math superfluous for my application.There is a chapter near the end that deals briefly with aiding, but don't count on that being enough.A number of real-world periodic motions, both short-term (coning, sculling) and long-term (Schuler, Foucault), are identified, and the references to literature at the end of each section are invaluable in digging deeper.Kalman filtering is relegated to an appendix, but that is fine, as this book is significantly more oriented to applications; pick up a copy of Gelb if you need an intro to estimation. 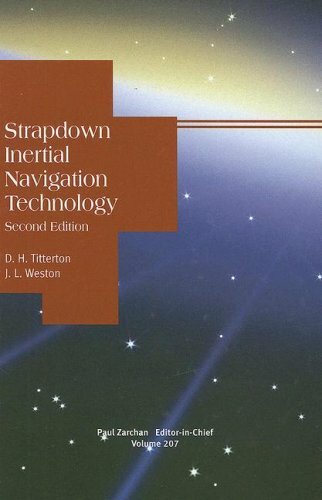 Strapdown Inertial Nav. 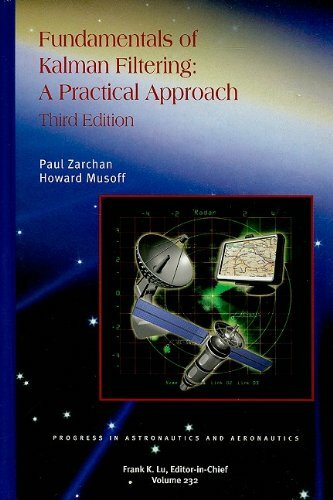 is an excellent book for those who would like to understand the technology or learn how to process inertial sensor data. I purchased this book primarily to gain some basic understanding of kalman filtering, but have found the book so interesting and engaging that I have taken the time to rewrite the code to pascal and run the examples etc, as presented in the book. Being a systems engineer by education, but not by profession, the approach used in the book allowed me to apply some of my previous but unused training very efficiently. The practical approach, along with just enough notation to be rigorous, makes for a thoughtful read, but is still easily understood. When combined with the examples, the alternative approaches presented and the code it achieves exactly what the authors state as their objectives. Although I am disappointed in the second reviewers comments he is wrong concerning the code. Complete code is presented in the text and is on CD for all of the examples. Readers can now make up their own mind before purchasing the text. If you go to the Google Book Search and type in Zarchan you will be able to read the entire text. I suggest people who have previously been terrified of Kalman filters and want to learn how to build one, read the Introduction and possibly the second Chapter to see if the text meets their needs and is in accordance with their individual learning styles. I know that many readers have found the text useful. 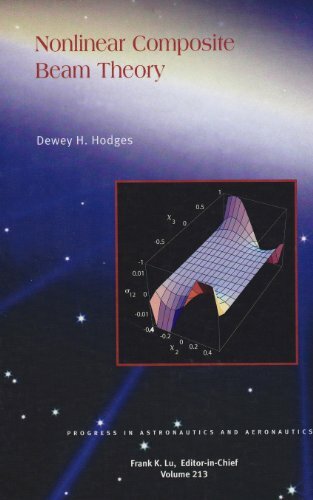 This book builds up the concepts needed to understand Kalman filtering from very basic ideas like least squares, and tries to keep things grounded in practical examples.It is, as advertised, the practical approach, totally unpretentious, and clearly written. There is a soft spot in my heart for Pratt & Whitney Aircraft. In the mid-1960's when I embarked on my engineering education the aerospace industry was booming. We were going to the moon! Four years later there was a recession on. Apollo was winding down, Southeast Asia was hot, and job offers were scarce. I went to work for P&WA, assigned to design small bits of turbine engines. The job lasted ten months; then they allowed as how I could keep coming to work but they couldn't afford to keep paying me. I moved on, soon ending up in the shipbuilding business. But what I'd seen of engineering as it was practiced at Pratt & Whitney, I'd liked. They were an organization committed to giving the customer a product that was first class in every respect, and they applied leading-edge technology to do it. I learned a few good lessons in my short tenure there. Now, Jack Connors' new book has provided a context for my experience. Mr. Connors joined P&WA in 1948 as the piston engine era was drawing to a close and he retired as a Vice President in Engineering, in 1983. After retirement, he and a couple of colleagues invested thousands of hours in organizing and indexing the company's engineering archives. That effort provided the source material for this book. The author uses many first hand accounts to bring these "moments" (several of which stretched over years) to life. 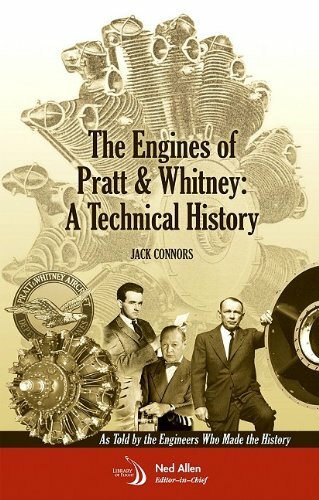 We learn how and why Frederick Rentschler started the company and how George Mead and Andy Willgoos inspired both the design brilliance of the great radial engines and the incredible industrial effort that saw P&WA engines supply 50% of the installed horsepower in the WWII aircraft fleet. We learn, in a really suspenseful sequence, how the company started the gas turbine era desperately far behind GE and Westinghouse, and how Luke Hobbs and Perry Pratt led the engineering effort that produced the J-57 engine for Boeing's B-52 Stratofortress - an engine that represented both a "bet the company" program and a quantum advance in turbojet performance. The J-57 in its commercial guise (as the JT-3) went on to power both the Boeing 707 and the DC-8 (and the rest, as they say, is history). And, in the usual manner of technical evolution, the J-57 turbojet led to the TF-33 turbofan (power for the C-141 Starlifter), which was scaled down and provided with an afterburner to produce the TF-30 that occupied my time for a year. And the TF-30 (power for, among others, the F-111 and the F-14 Tomcat) was the parent of the F-100 that went into the F-15 and F-16 and led to other advanced engine programs. While one must respect the author's conclusions, I'd have proposed the development of the JT-9D high-bypass turbofan during the same years that the F100 was evolving, as a much more significant milestone. The JT-9D powered the first Boeing 747's that arguably revolutionized commercial air travel, and its technical "DNA" can be seen in every large airliner turbofan to this day. 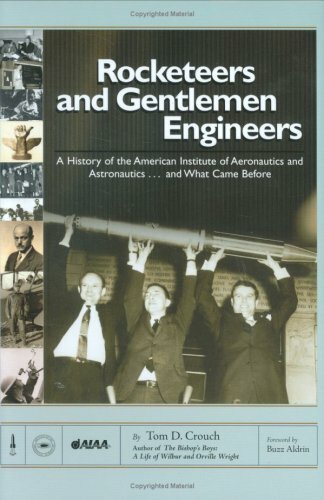 I can only recommend this book to all people interested in the beginnings of aviation. It is detailed and almost complete. The only thing that could have been done better is the organization and structure of the different chapters. A chronological order would have allowed easier research of specific items.